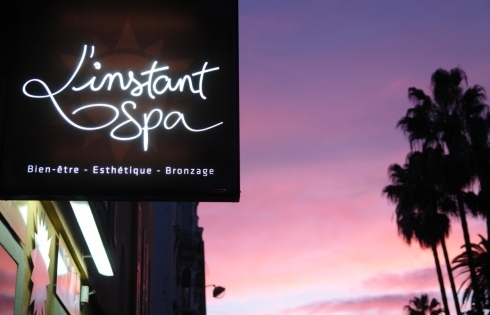 L’instant Spa, your wellbeing and relaxation centre in Nice, offers you a moment to escape in a calm, warming atmosphere which is open to all. Enjoy a wellbeing break and forget your daily stress. L’instant Spa is a place dedicated to your wellbeing, bringing together beauty and technology in a world of relaxation and pleasure. Our wide range of experience has allowed us to develop a perfect control. Our unique expertise guarantees you quality services with competitive prices. L’instant Spa offers a moment of relaxation and beauty thanks to its innovative technologies and our teams of qualified professionals. We offer treatments that are open to all encompassing everyone’s desires. 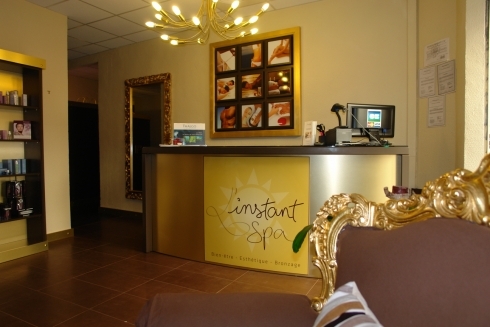 Relax and have a good time at L’instant Spa. – When making an appointment, we require a deposit by Credit Card (by phone), or by Paypal directly to the Centre and deductible of the amount of the care. – In case of cancellation more than 48 hours before the appointment, the deposit will be refunded as a credit (valid for 3 months), or refunded upon request.It will however not be returned in case of absence or appointments canceled within 48 hours of the appointment. – In case of reserved care, canceled less than 48 hours, not canceled and not made, care will be fully due. – In case of reserved care with a gift card or voucher and not honored or canceled less than 48 hours before card, the value of care will be automatically deducted from the value of the card or voucher. – In case of delay, we will be forced to shorten the length of all care, so as not to penalize the following customers. Finally, remember to use your coupons and gift certificates before they expire so they would not be lost!